Happy Mother’s Day, mom. 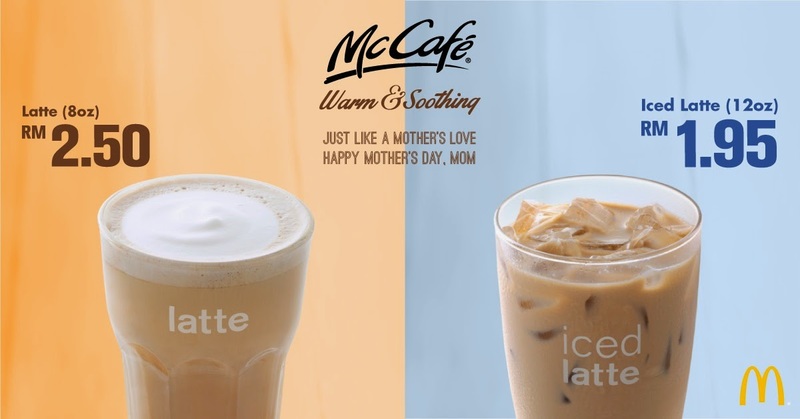 Celebrating another’s Day, McCafe is offering Iced Latte for only RM1.96 and Hot Latte for only RM2.50! Download coupon now to enjoy McCafe best selling hot & iced Latte for less! Available from now till 10th May 2015. Not valid for McDelivery, Drive thru and airport stores. Not valid with other ongoing promotions.